Interested in Solar in WA? Let Saving With Solar Help You! If you’re in south west WA and interested in solar power, we’ve recently partnered with SunWise, a company with over 10 years’ experience who are a privately owned and operated solar company in Bunbury, Western Australia. According to the Clean Energy Regulator, Bunbury has almost 4,000 small-scale solar installations covering 11,971.388kW. As the cost of solar and especially storage decrease, along with massive increases in electricity, Saving With Solar and SunWise are proud to help both businesses and individual residences save money through renewable energy. All solar system installations (including initial site assessments) are sourced, supplied, installed, and maintained by the same friendly and experienced team – so you’ll be in safe hands throughout the entire process of investing in renewable energy. The team includes multiple Selectronic, SMA, and Tesla certified installers and have installed systems all across Western Australia. If you’re in south west Western Australia and want to buy a Tesla Powerwall 2 (either grid-connected or off-grid), SunWise are one of the only organisations in Western Australia certified to sell and install this product. Simply fill in the form to your right or below and we’ll get in touch – there’s a bit of a waitlist right now so if you do want a Powerwall let us know immediately so we can reserve your spot. 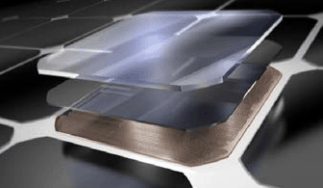 SunPower have been lauded by many for their high quality solar panels – the Maxeon technology utilised by SunPower has led to their X-Series Solar Panels achieving a 21.5% light-to-energy ratio. If you want to buy SunPower panels, SunWise are a SunPower partner and have a great deal of experience installing and maintaining what many claim to be the best solar panel in the world. Along with Saving With Solar we have access to a full complement of SunPower products and would be pleased to provide a quote or some advice on what we think you should do. Augusta-Margaret River – SunWise have installed over 1MW of solar in this area. Boyup Brook – over 50kW of solar installed. Bridgetown-Greenbushes – 100kW of solar installed. Bunbury – Over 1MW of solar installed. Busselton – Over 200kW of solar installed. Capel – Over 100kW of solar installed. Collie – over 100 kW of solar installed. Dardanup – over 100kW of solar installed. Donnybrook-Balingup – over 75kW of solar installed. Harvey – over 50kW of solar installed. Manjimup – Over 100kW of solar installed. Nannu – over 50kW of solar installed. The team have also installed both hybrid and off-grid solar solutions in Ruabon, Northcliffe, Wellington Mill, Ludlow, Kojanup, Balingup, Kirup, Gin Gin, Marble Bar, Narrogin, Mullalyup, Gracetown, and all over Western Australia! Scroll down to take a look at some of the successful installs the team have completed. SunWise and their CEO, Glen Holland, have installed over 10,000,000 watts of solar power in the last 10 years, including one of the largest hybrid grid connect systems in the south west of WA (21.6kW Solar & 1kW wind at the Margaret River Recreation Centre) – they’ve also installed over 1MW of commercial solar. So no matter what you’re looking for, the friendly team would be happy to help! Simply fill out the form below or to your right and someone will be in touch with regards to your solar needs.